1. Help! Some of my clam shells are yellowing. Some are on the 30th Anniversary line. A few are from older waves. Aside from opening them is there anything I can do? I really like the art on the 30th and would hate to destroy them. As wiser men than I have written, time shreds us all - this includes toys. Various plastics, rubbers, and cardboards were developed to serve as short-term playthings and may not have been developed to hold up to time, or light, or moisture forever. White plastics and yellow plastics frequently discolor, even if kept in a cool, dry place out of the sunlight. The 1984-1985 Kenner action figure packaging was notorious for yellowing, so all you can really do is keep it out of the light, preferably somewhere where it can breathe, and pray. If the material itself is prone to discoloration - mine aren't changing, but mine aren't in the light - you're out of luck. I've had a number of toys with clear rubber bands shrivel up and crumble in the packaging, so that's only too common. In short, nothing lasts forever. 2. I am a big fan of the 40th anniversary packaging for the 6 inch figures. 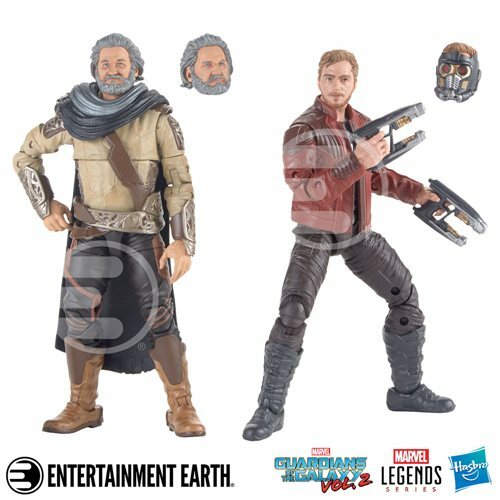 Any chance that Hasbro will complete the first 21 figures? Along with the first 12, we have Luke X-wing and R5D4. I would jump for joy if we got 40th anniversary packaging of a power droid, death star droid, walrus man, etc. Any realistic odds of this happening anytime soon? Or, has that ship already sailed and they are making all preparations for The Last Jedi? The original 12 gimmick was a concept from day one - do a display, do the 12 guys, and move on. 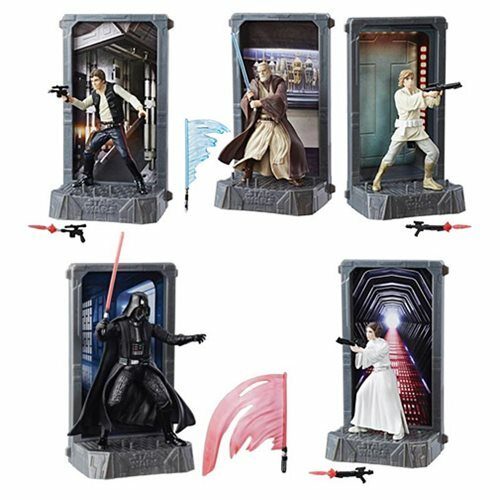 There are no plans for a wave 3 and as far as I know, Luke may have been a last-minute addition to things at Celebration. Hasbro may/can/should do the original 21 - and 92-99 - but there are absolutely no known plans in the pipeline for this. Perhaps after they retire the 3 3/4-inch versions again, perhaps if fans ask and complain, but I wouldn't bet on it. That would mean we'd get a Greedo reissue, and who wants that? 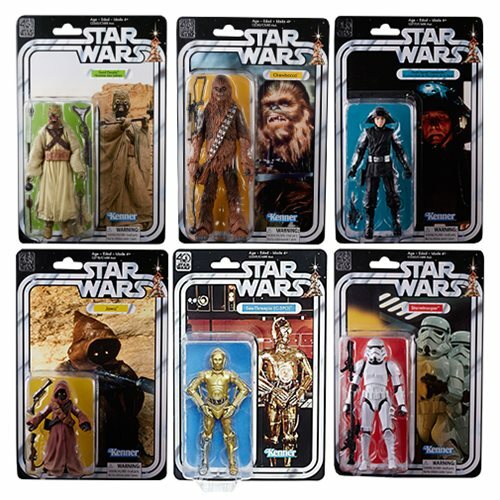 I assume Hasbro will consider reproducing existing figures on Vintage-style cardbacks for conventions - Boba Fett and Greedo are indeed low-hanging fruit - but I am not aware of any plans to do this. 3. 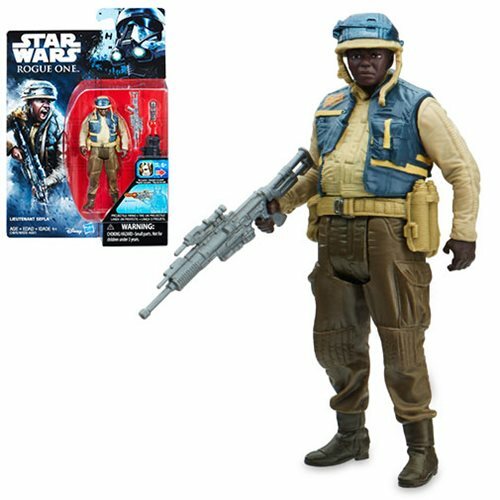 Was wondering if you know whether the Rogue One Bistan/Shoretrooper Officer two pack is still scheduled for release? 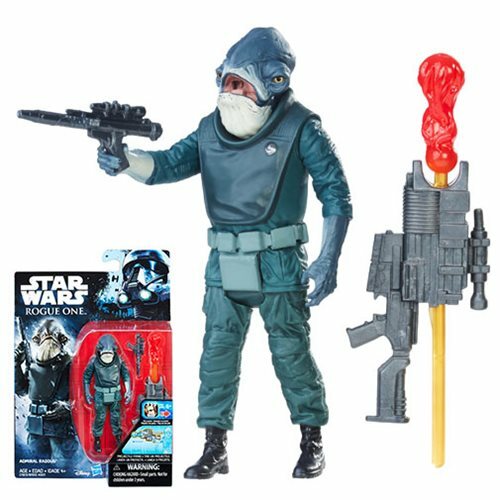 I can't find it for sale anywhere online despite the fact it was shown at Toyfair with the Raddus/Sefla wave which I just purchased. Any idea if or when it'll be available? 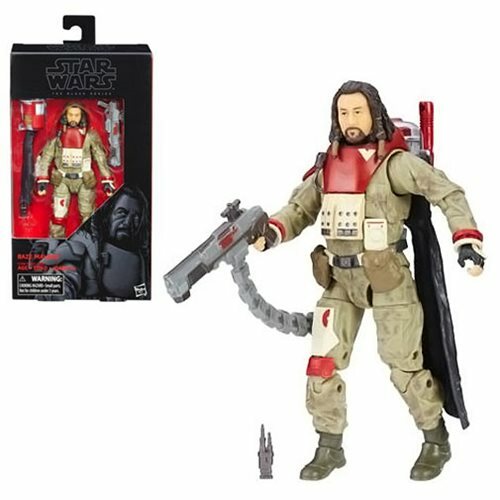 As of right now I have absolutely no insight as to any - any - additional 3 3/4-inch Rogue One action figures coming out. This is not obfuscation or weasel words. If they're still coming, I have no insight. If another wave was meant to come to the USA, I've seen and heard nothing. I don't know if it's going to get some Last Wave Syndrome internationally or what. Heck, I still need a Fenn Rau! Another week, not much new in Star Wars. The latest The Black Series waves are making the rounds while 3 3/4-inch remains sort of lacking in updates. The new 6-inch Jawa is pretty gorgeous, but the pricing versus the plastic (and obstructed leg articulation) is a drag. New Lando is actually pretty fantastic. Also new LEGO toys are making the rounds, for those interested in such things, so take a look at the newest stuff the next time you head out. I've been wrestling with the "fun" aspects of the hobby, specifically that most of the new toys aren't fun. The Black Series are sort of amazing in that the sculpting and articulation are always good, while the product is sort of boring. You might recall I had the same sense of boredom with the 3 3/4-inch super articulated figures - after a while, nifty features were left out entirely. Not every light-up eye port, sound chip, or firing rocket was a success but those features made each new figure an interesting experience. The Black Series figures often have worse elbow articulation than some 2013 counterparts, but the sculpting is still exquisite and the head sculpts (and especially deco) seem to be improving a lot. But they don't do anything - much like Pop! Vinyl figures, I think the happiest collector is the one who picks and chooses as, eventually, there's really no reason to open the packaging since there's no real surprise to be had. That's one aspect of collector's figures I find terribly disappointing - we've hit some sort of peak evolution where there's nothing new. Marvel and DC have build-a-figure parts, so that's good. Star Wars doesn't, but it doesn't rely on recycled bucks nearly as much. Over its evolution, Marvel Legends (and Spider-Man Classics before it) experimented with articulation, accessories, and gimmicks too - I have a magnetic foot Spider-Man I absolutely adore. Some had gorgeous display stands, and these things were sold for ridiculous prices - under $10 for a hyper-articulated figure with a display base. Sculpting has since improved, as has the precision in deco, but the losses in variety and gimmickry are certainly felt, particularly in figures like Yoda and the Jawa. Figures that could probably have been put in 3 3/4-inch scale packaging at a similar budget. It's not like either is bigger than a 3 3/4-inch scale Chewbacca. I'm absolutely ready for a new gimmick, as The Force Awakens 3 3/4-inch figures were acceptable with pretty wonky pack-ins and Rogue One had better bonus accessories but they still weren't great. (Great accessories can be used by the consumer in a meaningful way that won't cause the figure to fall over... I guess TFA's count in that respect.) I'd love to see the 6-inch line enhanced with something like light-up eyes on a Jawa (for example) or something just... more. Other than R2-D2, few figures have features where I can pick it up and show someone while saying "check this out, this is cool." Any collectible in any format can't last unchanged forever - LEGO changed their figures in some ways (losing the yellow skin, launching projectiles, higher price points) while the basic format and compatibility remained constant. Things like comic books and trading cards really tried to do some innovative things during the 1990s, but I'd say both of those have staggered and stumbled ever since. Comic book readership overall seems up, but the eras of holograms and such are over. Event plotlines are a gimmick that don't seem to add much to the actual franchise, and thankfully Star Wars has been mostly immune to such book-hopping tales. Like Vector. Remember Vector? Of course you don't. But the only thing we've really seen change in Star Wars comics are the publisher and the price point - and the format as a whole has done little to expand beyond what seems to be an audience that's too old to really bring back insane circulation numbers. Trading cards don't seem to be a childhood rite of passage necessarily as they once were, I would argue that the Funko Pop! Vinyl figure may have stolen its lunch money. I'm of the mindset (that may be wrong) that we'd have seen a bigger uptick in fans everywhere if costs were kept down and features were cut. 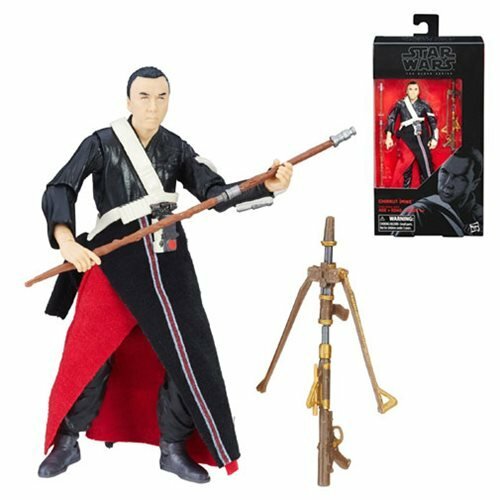 The gimmicky 2-packs of 2015-2016 didn't seem to help much (but the Rogue One ones did seem better overall), a $6 single-figure or a $10 2-pack with minimal accessories might have inspired more kids to stay around and may have also prevented The Force Awakens from being evenly packed along "build this weapon" lines. I appreciate that they wanted to make that gimmick distributed fairly, but I can't imagine it helped much. 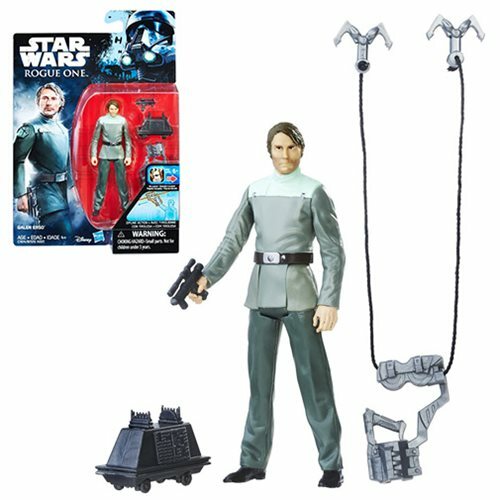 I liked the Rogue One mixes better, and I absolutely hope Hasbro experiments with simpler, cheaper figures alongside the super-articulated ones again now that there are new movies and new fans. I imagine they would have sold a ton of $6 Reys. Maybe not Poes. That helmet head did him no favors. For what it's worth, the 6" Jawa's eyes actually do glow in the dark. You just need to shine a light on them first.